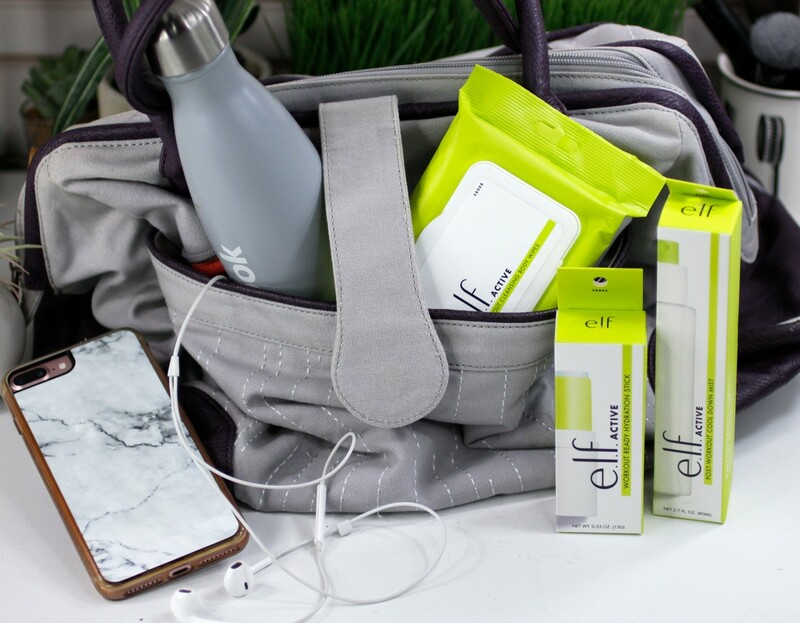 The newest active line from Elf is all about skincare and makeup that you can wear to the gym, or stash in your workout or athletic bag. 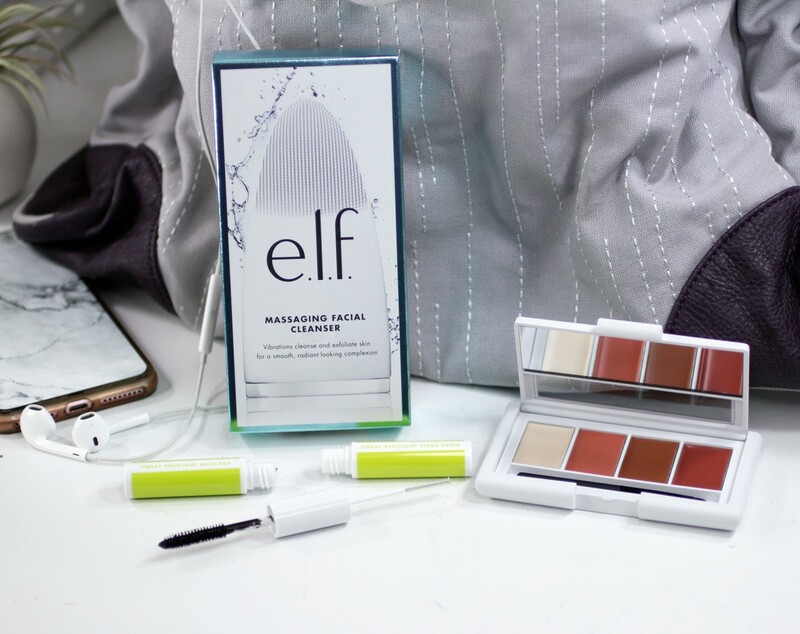 Wearing makeup to the gym, and the whole athleisure thing has been trendy for the last year or two, and Elf has just come out with their contribution to the movement. To be honest with you guys, I gave up trying to look cute at the gym in my late 20s. My face turns bright red, my hair never looks right in a ponytail, and I sweat like a very large man. My main goal is to keep my skin as clean as humanly possible to avoid breakouts, and clean myself up enough so that I don’t scare any children on the way home! That being said, if I were going on a weekend hike or something where I planned to be active, but not full-on cardio, I’d probably wear makeup. The new line from Elf is all about budget-friendly, sweat-proof makeup and quick and easy skincare essentials. They are cruelty free, of course, and Elf says they are all vegan. Let’s talk about the skincare first. The Post Workout Cleansing Body Wipes are nice to have to clean up after a sweat session. They are affordable ($3! ), and large enough to mop up after hitting the gym. 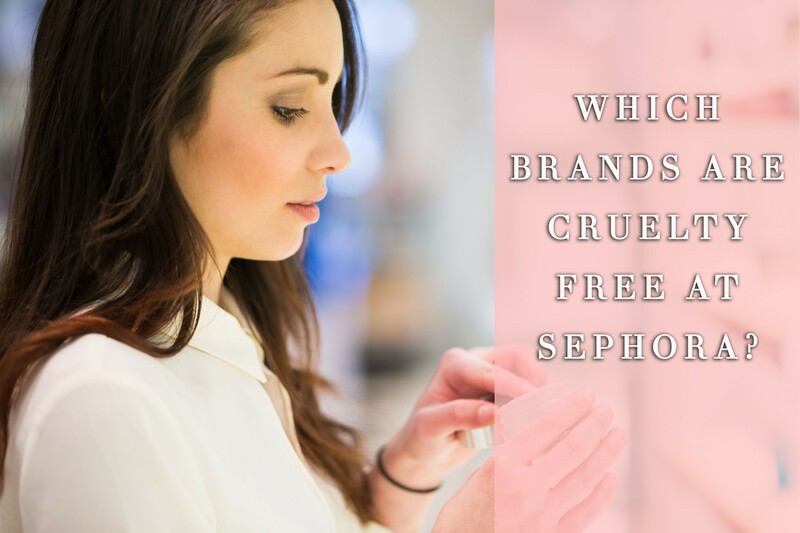 BUT, they are made with fragrance (parfum), so if you have sensitive or acne-prone skin, I’d skip them. I can probably use them for my lower half, but I don’t think these would work for my chest, back, and certainly not my face. The Hydration Stick ($8) is definitely only for those with dry skin. I could see it being handy if you were skiing or doing something active in a snowy climate. For everyday workouts, I wouldn’t want something in stick form (it can spread bacteria). It also has fragrance and pore-cloggers, so I’m not really sold on it except for dry skin in extreme weather conditions. The Post-Workout Cool Down Mist ($8) is a hydrating mist that supposedly won’t clog pores and is “sweat resistant”. I don’t know about you but sweat-resistant doesn’t sound like something I’d want unless it’s a primer or something like that. For sensitive or acne-prone types, I would avoid this one as well because it has fragrance (not great for sensitive skin), jojoba oil and castor oil (pore cloggers). The Massaging Facial Cleanser ($20) is a great budget-friendly alternative to the Foreo. It’s battery operated, waterproof, super light, and easy to use. It doesn’t have a ton of power, but you really don’t want to go nuts with the exfoliators anyway (especially those of you with sensitive skin). If you have acne-prone skin, you may want to skip ALL mechanical exfoliator gadgets and skin brushes – especially in areas where you have active breakouts. You may end up spreading bacteria and causing more inflammation. Better to use a light scrub or chemical exfoliant. If you have normal to dry skin, this is a great way to exfoliate – just be sure to keep the device clean between uses. So all in all, I’m not really sold on the skincare products in the Elf Active line. But, let’s talk about the makeup. 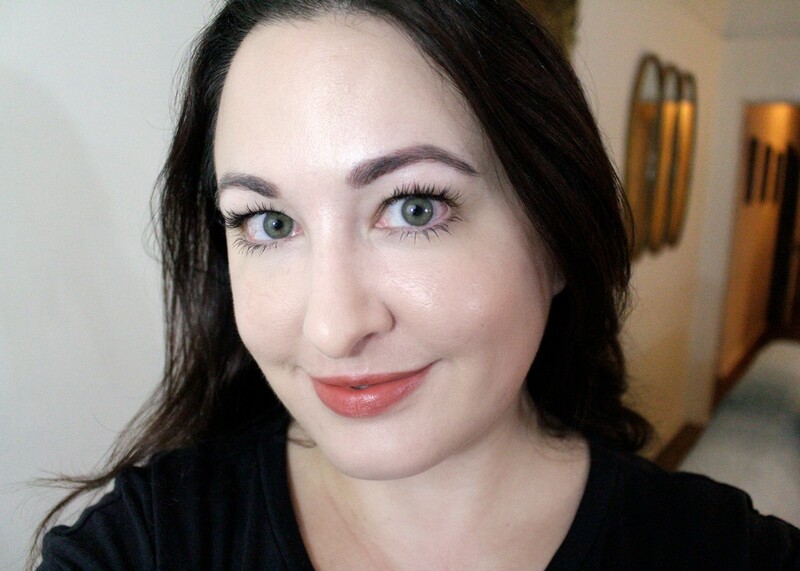 I tried out the Sweat Resistant Mascara & Brow Duo. Funny enough, I JUST wrote about how I was looking for a new mascara for my bottom lashes (since I wear lash extensions on the top lashes). The mascara/brow duo may just be what I’ve been searching for! It has a small applicator, which is great for getting to those bottom lashes without getting mascara everywhere. The formula is surprisingly bold – major lengthening and thickening action. It’s sweat-proof and smudge-proof, which is exactly what you want when working out – or pretty much ALL the time! It’s especially great for those bottom lashes since they smudge more easily – this helps to keep those raccoon eyes away. I love that it’s a dual-purpose product, so it doesn’t take up much space in my workout bag. One side has mascara and the other has a clear brow gel, so you can keep your brows from looking crazy while you workout. I highly recommend this product. Not just for the gym! It’s actually a really great purchase, and the price is right at $6! 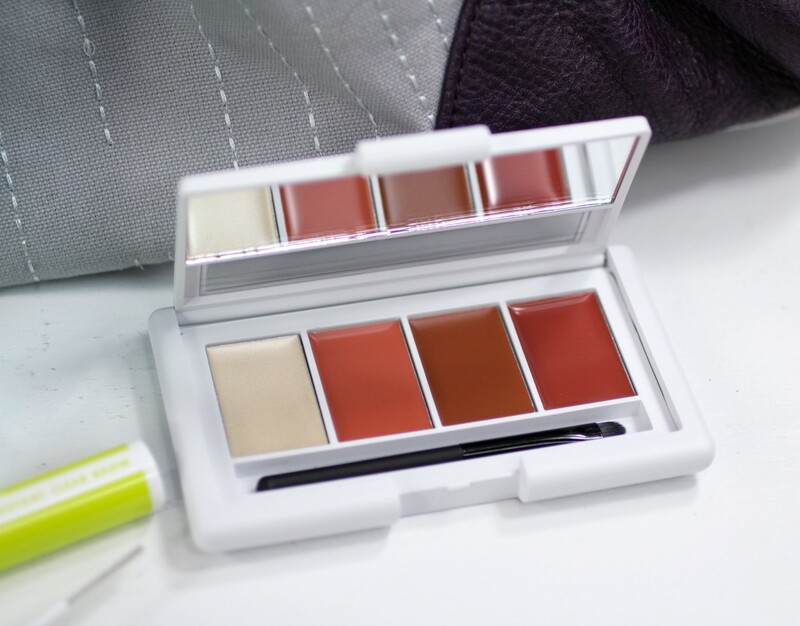 The Gym Chic Workout Ready Lip & Cheek Palette has three creamy shades that dry to a matte finish, and one shimmery cream highlighter, along with a small lip brush. Here’s the thing – these shades are pretty (and the packaging is gorgeous), but you will NEVER find me using cream makeup when I workout. If I’m going to sweat, I want powder makeup that won’t clog my pores. So the shades are pretty, and I especially love them as lip colors, but I would not wear them to the gym. I do understand why they did this though. The creams are super easy to put on with a fingertip, which makes them a great travel product. So use this palette for travel, but only use it during workouts if you’re not at ALL prone to breakouts. At just $8, it’s a great bargain. In this pic, I’m wearing the mascara, brow gel and deep red cream lipstick. I’m not sure why I look so pale. I swear, I think my camera has a goth setting I’m not aware of. Anyway – I’m really happy with how the products wore after my workout. Mascara didn’t smudge! I know you said you don’t wear makeup to the gym, but this would be great for a night dancing! Everyone wants to look glamorous when they salsa, but man, it works up a sweat! Ohhh good idea Michelle! I haven’t been out dancing in forever, but if I did, I’d use these! Lipstick shade is very nice,..